MEIGS COUNTY — A Logan, Ohio, man was arrested early Sunday morning in Meigs County following the shooting death of a woman in Hocking County. 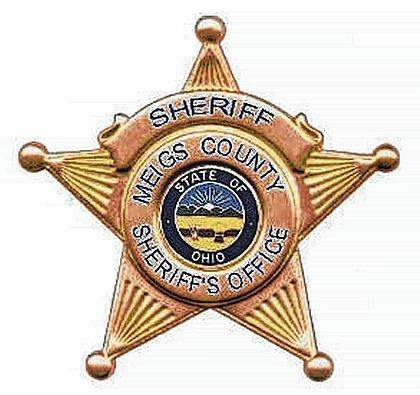 According to a news release from the Logan Police Department, at approximately 3 a.m. on Sunday the Meigs County Sheriff’s Office notified the Hocking County Sheriff’s Office of a possible shooting which occurred in Logan earlier on Sunday morning. The Hocking County Sheriff’s Office then notified the Logan police Department. The initial response by the Meigs County Sheriff’s Office resulted in a 50-year-old male being taken into custody and several items seized. While the man was taken into custody in Meigs County, several patrol units from the Logan Police Department and Hocking County Sheriff’s Office arrived at a residence on Fresisner Avenue in Logan. Upon arrival, they attempted to contact any occupants inside the residence, but received no response. Officers forcibly entered the residence and discovered a 37-year-old female deceased. Preliminary reports indicate that the female died of a gunshot wound. No other individuals were found at the residence. Detectives from the Logan Police Department, Hocking County Coroner Dr. David Cummin and the Ohio Bureau of Criminal Investigation Crime Scene Unit arrived to process the crime scene. The body of the female was transported to the Montgomery County Coroner’s Office for autopsy. Due to the ongoing investigation, the identity of the victim and the suspect are being withheld pending notification of the family members of the deceased. Additional information will be provided by The Daily Sentinel as it becomes available.